The San Diego County Board of Supervisors voted Tuesday to end a declaration of emergency involving the Lilac Fire, though residents still have a chance to file for federal aid if they haven’t yet done so. The state of emergency was declared a few days after the blaze broke out in December to aid response and recovery efforts. Fanned by Santa Ana winds, the fire scorched 4,100 acres in North County over several days, destroyed 113 homes, damaged 55, and destroyed or damaged seven commercial buildings. 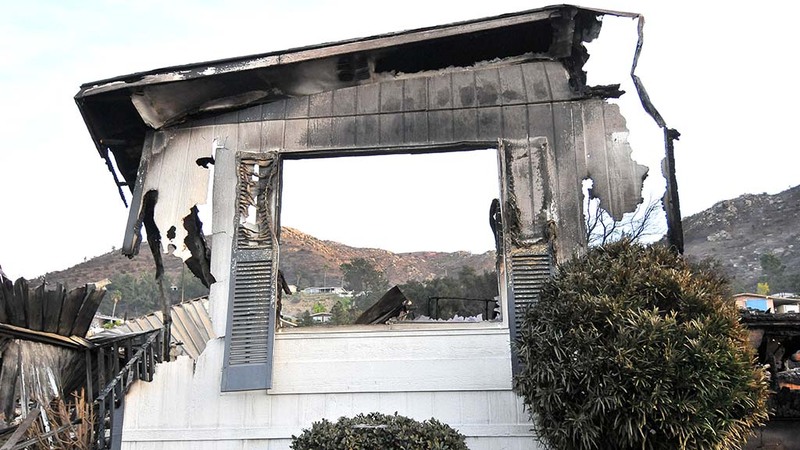 Those affected by the fire have until March 16 to file for federal assistance through the Federal Emergency Management Agency, according to county officials. “If you think you had a loss, but you’re not sure you need assistance, and you were involved in the Lilac fire, I would suggest to you to please go register your name so you can have a place in the queue,” Supervisor Bill Horn said. Officials said that those with insurance should also file claims in order to maximize their recovery assistance. An outreach center at the Bonsall Community Center, 31505 Old River Road, will close at the end of the day on Thursday. Staffers there can help residents and business owners navigate their options for recovery assistance. Information is also available at www.sdcountyrecovery.com or (858) 495-5200.